Google - does App Sync have a flaw? Microsoft has announced on its Outlook team blog that Google's Apps Outlook Sync has what it describes as a 'serious bug or flaw' that disables Outlook's ability to search your data. 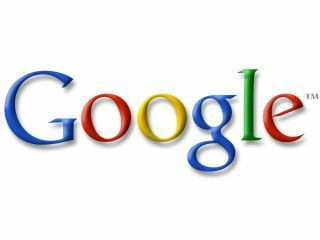 The announcement of Google Apps Sync for Microsoft Outlook was seen as Google stepping on Microsoft's enterprise clod feet, but the Redmond-based software giant believes that the tool is flawed. "The Outlook team has recently been made aware of a serious bug / flaw with the recently announced Google Apps Sync for Microsoft Outlook, and as a result we wanted to provide the Outlook user community with additional details around this problem as well as information on how to address it," says the Outlook blog. "When a Google Apps user installs the sync plugin for Outlook, the plugin modifies a registry key which disables Windows Desktop Search from indexing and providing search functionality for all Outlook data, not just the Outlook data being synchronized from GMail. "Because Outlook search relies upon the indexing performed by Windows Desktop Search, Outlook search functions are broken as a result. It is also important to note that uninstalling the plugin may not fix the issue." Microsoft insists that it is working for a solution, adding: "Finally, we have brought these issues to Google's attention, and have offered to work with them to find a resolution for our mutual customers. As soon as this is done, we will publish more information." Considering the competition between the two companies, this is inevitably going to be seen as sniping – but make of it what you will.